The road has been a little rocky since the Grasslands Marathon. What I originally thought was just normal race pain that was taking longer than normal to recover from I have to now admit is an injury. After a few weeks of the same pain in the same spot in my upper calf I started remembering my Dad's issues with blood clots in his legs, and then considering that 30 minutes after I finished the race I hopped in the car and drove 4 hours. When I first thought of a blood clot I felt like I was being a hypochondriac, but when you have my families goofy blood history it wasn't something to ignore. After several tests and doctors we ruled out everything that could be bad. 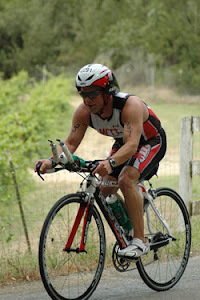 Then an old friend from my first year of racing 70.3's came back to say hi. If you have been cycling or running for a number of years, and never had a bad case of Iliotibial band syndrome consider yourself very lucky. 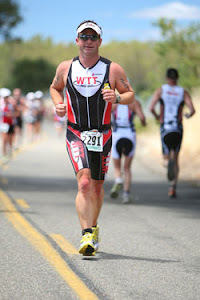 My first 70.3 in Oceanside, Ca in 2009 ended with me walking most of the last 4 miles of the race. As Jerred said at the time I had a hitch in my giddy up. What took me so long to come on board with this diagnosis is that it has manifested itself in a lower part of my leg, but regardless I can't run more than a .10 of a mile without having to stop. I wanted to believe that it just came up with the race, but the reality is that I was probably ignoring issues for sometime, and the race pushed them over the top. Even as bad as last year was with the muscle pain from statins I was still able to train, but this has immediately sidelined me and cut my training time sharply. What does this do to someone that is used to keeping really active? I can only speak for me, but for my overall health I have to have a pretty high level of activity to help me feel balanced. Being active is only part of it. Staying physically active keeps me balanced spiritually and mentally, and helps me be a better person is all other aspects of my life. Sometimes we try to compartmentalize all parts of our daily lives, but every part of our lives affect the other parts. You recognize it and don't ignore the fact that you need all the parts (spiritual, mental, and physical) balanced. Then you take a deep breath and remember that even a little work on each is better than nothing. You remember that you can't control each and everything that happens in your world, but in what you do you always look up and never give up. Granted this has been the most debilitating issue I have had in the last several years of racing, and I was really starting to question the future of being able to do endurance sports. Then as always happens God reminds me to keep things in perspective. Within a two week period 2 people close to my family passed away after long struggles with illness. I believe that both of these people would have loved to have stayed on this Earth longer just to be around the ones they loved, but at some point no matter what our physical bodies are just done. I have said many times that I have been blessed with bad genetics that remind me daily that if I don't keep myself in good shape I won't be here long. When I first started this journey it was to be here with my family for as long as I could be, but the last few years I have added to that another idea. Everyday you wake up is a day you get a chance to try to be better and inspire others to be better. To do more good in this world. Sometimes to do that you have to go through pain and sadness, but you also get to go through joy and happiness. Remember it is always tougher somewhere else, and everyday is a chance to do more good. If you are reading this then you woke up today, and you were given that opportunity to do more good. Recognize that and go out with a smile on your face. 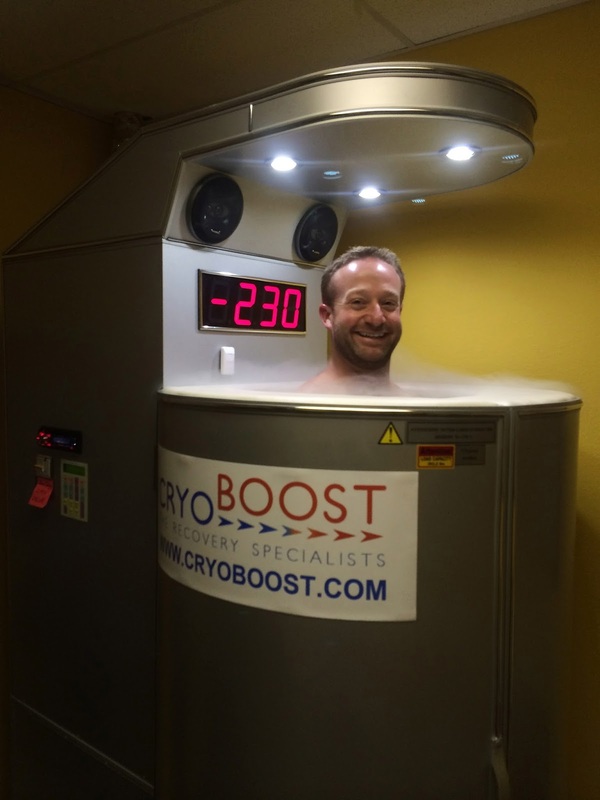 Here I am using a new recovery method called Cryoboost . After a massage from Lauren Ripple of Cryoboost. This was a great way to reset everything. Thanks David and Lauren!